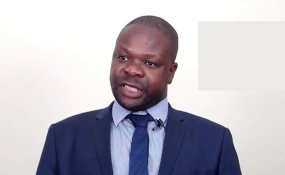 MDC-Alliance organising secretary Amos Chibaya has been arrested for allegedly holding a meeting with some civic organisations at his house where they planned the violence that rocked Gweru on Tuesday. After the meeting, Chibaya, who is the Member of Parliament for Mkoba, is alleged to have held another meeting with his party's youths whom he instructed to embark on the violence. Apart from Chibaya, Chiwundura Member of Parliament Livingstone Chiminya and over 100 other people were also arrested over the violence that led to the looting of shops and bars. Chibaya was being held at Gweru Central Police Station, while Chiminya was at Mkoba 1 Police Station, and both are expected in court today. After an uneventful Monday which saw cities and towns in the Midlands Province remaining calm with people going about their business -- Tuesday turned into a nightmare for residents, commuter omnibuses and shop operators as criminals barricaded roads and burnt tyres. The criminals embarked on a looting spree which resulted in shop owners losing goods worth thousands of dollars. Some were still counting their losses and the quantum of losses was expected to increase. The skirmishes saw at least one commuter omnibus being burnt in Mkoba 16, before the members of the uniformed forces moved in to restore peace and order. The police then raided homes of suspected perpetrators, leading to the arrest Chibaya, Chiminya and the 100 people on allegations of inciting MDC-Alliance youths to engage in violent activities. Chibaya handed himself over to the police in the company of his lawyer Mr Reginald Chidawanyika after learning that police were looking for him. In an interview at Gweru Central Police Station he said, he was facing charges of inciting violence. Mr Chidawanyika said his client stood accused of holding a meeting with civil organisation leaders at his house in Mkoba 13, before inciting MDC-Alliance youths to prevent members of the public from going to work from Monday to Wednesday. "It is alleged that my client on January 12 held a meeting with other civic organisation leaders in Gweru to plot a civil strike titled "shutdown" of all economic activities with Gweru Urban and incited 15 MDC-Alliance youths to go onto the streets of Gweru to prevent the general public from going to work," he said. "Chibaya allegedly addressed the youths and made the following utterances, 'As youths you must make sure the shutdown is successful, no public transport must be allowed to operate, if anyone is seen operating any shop during January 14-16, close the shop totally, block all the roads leading to town. "As a result of his utterances - it is alleged that youths gangs blocked Hamutyinei, Bristol roads in Mkoba which lead to the city centre, Matobo Road in Mtapa leading to town, using logs, stones and burning tyres, disrupting free movement of vehicular transport and the general public.